Sen. Chris Dodd says he was "completely unaware" of AIG's plans to award $165 million in bonuses butr agreed to change amendment at administration request. 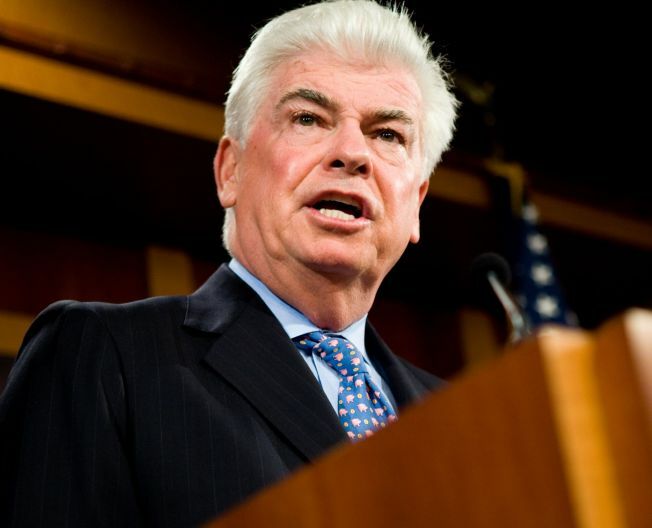 Sen. Chris Dodd has said he was "completely unaware" of AIG's plans to award employees $165 million in bonuses, but now concedes that his staff agreed to dilute an executive pay restriction in the economic stimulus bill that would have blocked the outrageous payouts. "As many know, the administration was, among others, not happy with the language. They wanted some modifications to it," the Connecticut Democrat told Fox News. "They came to us, our staff, and asked for changes, and the changes at the time did not seem that obnoxious or onerous." The original provision, had it survived, would have prevented AIG from granting $165 million in bonuses to employees of its troubled financial products division. The modified amendment created an exemption for “contractually obligated bonuses agreed on or before Feb. 11. 2009," Fox news reported earlier this week. The issue has taxpayers across the country howling. While AIG has received $182 billion from the government to remain viable and executives have collected big bonuses, many Americans are out of work. "Senator Dodd's original executive compensation amendment adopted by the Senate did not include an exemption for existing contracts that provided for these types of bonuses,'' Dodd’s spokeswoman Kate Szostak told "The Hartford Courant." Dodd has also come under fire because he has been the top recipient of campaign contributions from AIG employees over the years. The Center for Responsive Politics says he received more than $100,000 during 2007 and 2008, when he ran for president. By late Wednesday, Dodd was telling the press he would return any campaign donations that are linked to bailout money. Those campaign contributions were made to his unsuccessful 2008 Presidential campaign.